Clayton Kershaw won’t start tonight’s Game 7 of the World Series for the Los Angeles Dodgers after starting Game 5 and throwing 94 pitches, but the left-hander has already made it quite clear that he’ll be available out of the bullpen. 27 innings won’t be necessary, but several innings very well may be. Yu Darvish gets the start for Los Angeles, and the right-hander was brutal in Game 3, with very little bite on his usually-filthy slider (and the slick World Series baseballs may be to blame for that). If Darvish doesn’t have it again tonight, expect Dodgers manager Dave Roberts to make the move to Kershaw and ride the three-time Cy Young winner for as long as needed. Star closer Kenley Jansen threw two innings in Game 6, after facing nine batters over 1 2/3 innings on Sunday in Game 5. And primary setup man Brandon Morrow has pitched in literally every game this series and faced at least four batters in all of them. So, while you’d have to figure that Jansen (especially) and Morrow would still be available in Game 7, Roberts may have a hard time taking out Kershaw if the lefty looks sharp. As for the Astros, curveball specialist Lance McCullers gets the start, but will likely be replaced by Game 5 starter — and 2015 AL Cy Young winner — Dallas Keuchel at the first sign of the trouble. Is it possible that Game 6 starter Justin Verlander could be available in Game 7? Verlander told the media that he felt “great” after the game, but will have to see how he feels after playing catch before Game 7. Asked about his availability for Game 7, Justin Verlander said, "Right now, I feel great." Verlander said his availability will depend on how he feels playing catch tomorrow. 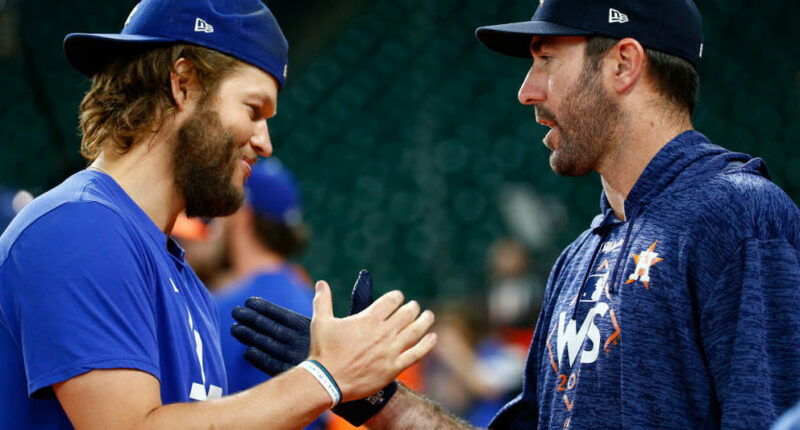 It may seem totally nuts for Verlander to pitch one day after throwing six innings and 93 pitches, but it’s one game to win or lose the World Series, and these guys have all offseason to rest (and maybe he blows out his arm, but it’s worth taking that chance to win a championship, right?). We almost saw this same scenario play out last year; Jake Arrieta was warming up for the Cubs to potentially enter out of the bullpen in Game 7 after throwing 102 pitches the night before. All hands on deck for what should be a wild night at Dodger Stadium.